ICAN UK welcomes the statement by Chinese President Xi Jinping that “nuclear weapons … should be completely prohibited and destroyed over time to make the world free of them.” President Xi’s remarks, made during a speech on January 18 at the United Nations in Geneva, were consistent with China’s long-standing official support for nuclear disarmament, and come as the UN is preparing to convene negotiations on a new treaty to prohibit nuclear weapons. China gave a positive signal at the UN General Assembly last month when it abstained from, rather than voting against, a resolution authorizing negotiations for a treaty banning nuclear weapons. The resolution was carried by a majority of over three to one. All of the other P5 countries (those with permanent seats on the UN Security Council – US, Russia, France and the UK) as well as four other nuclear-armed states, voted against this historic resolution aimed at taking concrete steps to free the world from nuclear weapons. 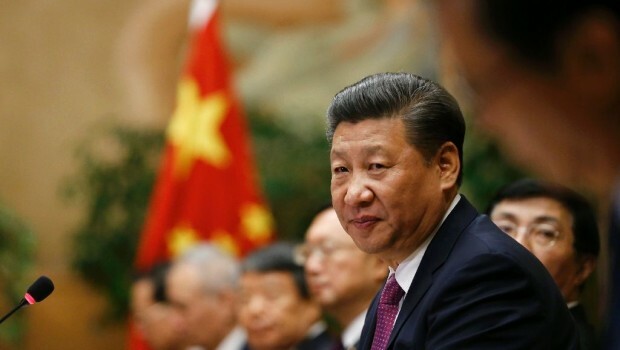 China can now show real leadership by declaring its intention to participate in the negotiating conference for the ban treaty opening this March, with the goal of making the complete prohibition of nuclear weapons an unequivocal international norm. By doing so, China would not only take an important practical step toward the elimination of nuclear weapons, it would also send a strong signal to the other eight nuclear-armed states that their objections to the negotiations and their criticisms of the treaty itself are misplaced, and that their massive reinvestments in nuclear warheads, delivery systems, and infrastructure are dangerous and contradictory to the goal of a world without nuclear weapons. The obligation to achieve that goal is spelled out in Article VI of the 1970 Nuclear Nonproliferation Treaty, and the International Court of Justice has unanimously said that all States, whether or not they possess nuclear arms, have an obligation under international law to negotiate nuclear disarmament. We are calling on the UK government to follow China’s lead by ending its opposition to United Nations negotiations on a nuclear weapons ban treaty. The UK’s defence secretary, Michael Fallon, is on the record as saying: “We share the vision of a world that is without nuclear weapons, achieved through multilateral disarmament.” It is time for the UK to put that rhetoric into action by sending a delegation to the opening session of the ban treaty negotiating conference in March, with clear instructions to participate in good faith and in cooperation with the non-nuclear-armed states leading this historic process.